The Kremlin has commented on the North Korean issue amid US President Donald Trump’s statement, saying that “only one thing will work” with regard to Pyongyang hinting at a possible upcoming military solution to the crisis on the Korean Peninsula. 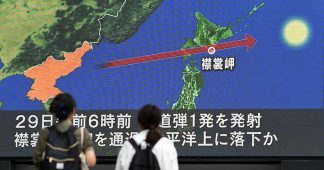 MOSCOW (Sputnik) — Moscow is calling on all interested parties to show restraint about the situation on the Korean Peninsula and to avoid steps that could aggravate the situation, Russian presidential spokesman Dmitry Peskov said Monday. “As for the Korean Peninsula, of course, Moscow has been calling and continues to call on all parties to the conflict and parties that have relation to these affairs to show restraint and avoid any steps that could only aggravate the situation,” Peskov told reporters. In ratcheting up the warlike rhetoric, Trump previously vowed that the US will “totally destroy” the DPRK if required as a means to protect itself and its allies from the threat of a nuclear attack. Meanwhile, earlier this week a Russian lawmaker, who has just returned from North Korea, claimed that Pyongyang is ready to test a missile capable of reaching the US western coast. 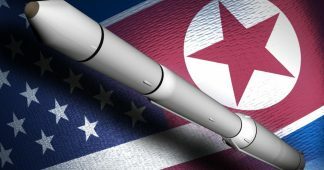 The Pentagon responded by telling Sputnik that it is “closely” watching North Korea. 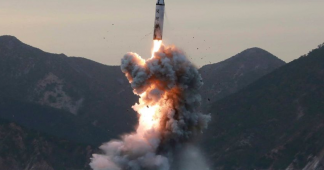 The North Korean nuclear and missile test issue has been aggravated in recent months as Pyongyang has held several rounds of missile launches and nuclear tests. 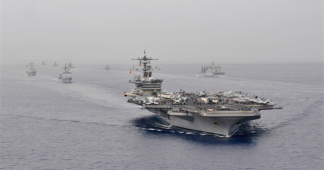 The most recent one was conducted on September 15, when North Korea launched a ballistic missile, which flew over Japan before falling into the northern Pacific some 20 minutes after the launch. On September 11, the UN Security Council unanimously adopted its toughest resolution yet against North Korea over its latest nuclear test and repeated missile launches. The move prompted harsh criticism from Pyongyang which subsequently vowed to use any means possible to retaliate against the United States. Russia has repeatedly called for a diplomatic solution to the North Korean issue and jointly with China proposed the so-called “double freeze” plan in order to settle the situation on the Korean Peninsula. 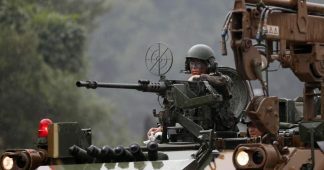 According to the plan, the DPRK should stop nuclear tests, while the US and South Korea should refrain from joint drills. 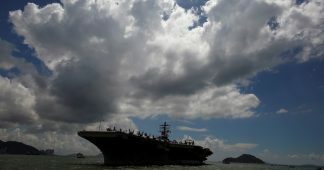 Washington has already refused to implement the plan, while there was no official response from Pyongyang on the issue.